Fashion and haute cuisine intersect with Viking heritage and the oldest monarchy in Europe in this trendy, yet ancient Scandinavian country. Fairytale author, Hans Christian Andersen, was from Denmark. The country feels legendary, with Viking heritage, grand castles from Europe’s oldest monarchy and a rich landscape of dark forests and mysterious islands. 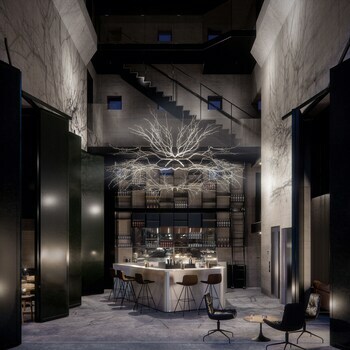 Add a cosmopolitan modern culture centered on gourmet cuisine, innovative design and high fashion, and you have the varied experience of today’s Denmark. Think of Denmark as three main sections: Jutland, the mainland part near Germany; Funen, the central island; and Zealand, the eastern island including Copenhagen. Spend a few days in Copenhagen enjoying world-class food and fashion. Shop along Strøget, the city’s pedestrian-only main boulevard and high-fashion center. Make a reservation to eat at one of Copenhagen’s highly regarded restaurants. Try Noma, often called the world’s best restaurant. Copenhagen is the heart of Denmark’s monarchy, which survives to this day. With roots from 10th-century Viking Kings, Denmark’s royal family is considered to be the oldest in Europe. Visit many castles and palaces from early days of the monarchy. Today, the Danish Queen spends winters in Copenhagen’s Amalienborg Palace, an 18th-century complex featuring a massive plaza where you can watch the daily changing of the guard. Head north of Zealand to see Fredensborg Palace, the Queen’s residence in spring and fall, and Kronborg Slot, a military barracks that served as the setting for Shakespeare’s Hamlet. Branch out of Zealand to see Denmark’s incredible natural landscape. Visit Møns Klint, towering chalk cliffs on an island south of Zealand. Head into Jutland, where beaches and sand dunes run up the entire western coast along the North Sea. Søndervig is a popular beach here, and the Wadden Sea is a vast area of coast exposed at low tide and inhabited by millions of birds. Drive up to Skagen, Denmark’s northernmost point. Fly into the international airport outside Copenhagen. Once in Denmark, rely on the extensive train, bus and ferry network to get around. Come in summer to enjoy the beaches or visit in winter to see the royal castles frosted in heavy snow. Discover Roskilde's mammoth cathedral, shop 'til you drop in Copenhagen or just explore all the stunning surroundings and attractions North Zealand has to offer. In Roskilde, you can explore exciting museums, an official World Heritage Site, historic churches, one of Northern Europe’s biggest music festivals and beautiful fjord areas. Apart from the magnificent coastline, you can visit charming towns, historic Viking forts and romantic manor houses in West Zealand. A trip to Ribe is a journey through time and you can experience relics from the Ice Age, the Viking age and the Middle Ages. On a trip to Southern Jutland you can find important Danish history and ancient towns with cultural treasures. Travel through several centuries and the beautiful scenery. 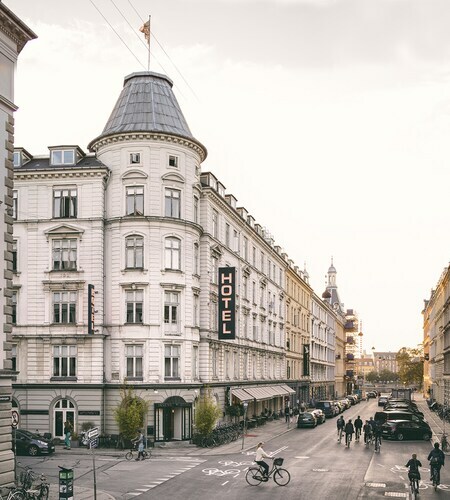 Located in Copenhagen City Centre, this eco-friendly hotel is within a 15-minute walk of Amalienborg Palace and Copenhagen Opera House. Little Mermaid and Round Tower are also within 1 mile (2 km). Kongens Nytorv Station is 8 minutes by foot and Christianshavn Station is 17 minutes. 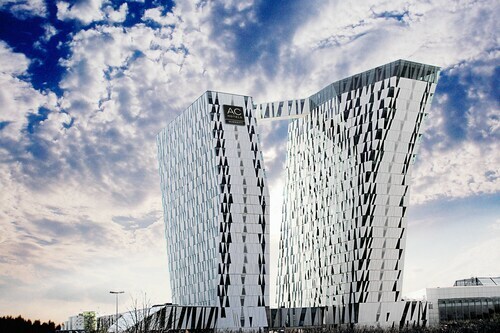 Located in Amager, this hotel is 0.5 mi (0.9 km) from Amager Beach Park and within 3 miles (5 km) of Copenhagen Opera House and National Museum of Denmark. Amalienborg Palace and Round Tower are also within 3 miles (5 km). Amager Strand Station is only a 5-minute walk and Oresund Station is 5 minutes. 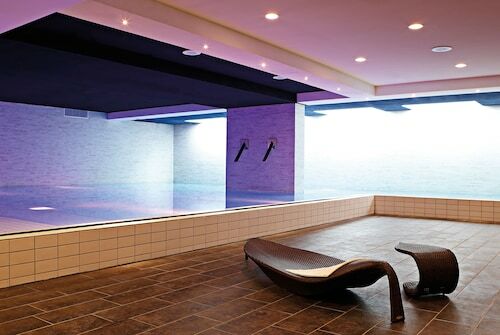 Situated near the airport, this spa hotel is 0.9 mi (1.5 km) from The Blue Planet Aquarium and within 3 miles (5 km) of Amager Beach Park and Fields Shopping Centre. Copenhagen Opera House and Royal Arena are also within 6 miles (10 km). 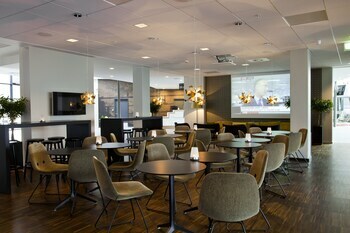 Lufthavnen Station is only a 2-minute walk and Copenhagen Airport, Kastrup Station is 3 minutes. This family-friendly Copenhagen hotel is located in the historical district, within a 10-minute walk of Workers Museum and Botanical Garden. University of Copenhagen and Round Tower are also within 15 minutes. Copenhagen Norreport Station is 7 minutes by foot and Nørreport Station is 8 minutes. 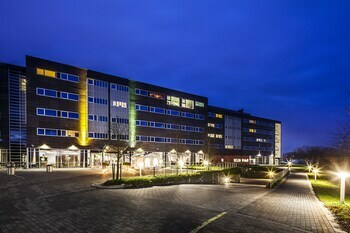 Located in Amager, this spa hotel is 1.4 mi (2.2 km) from Royal Arena, and within 6 mi (10 km) of City Hall Square and Tivoli Gardens. Copenhagen Opera House and Stroeget are also within 6 mi (10 km). 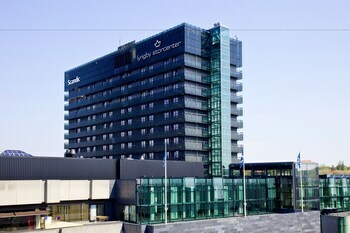 Bella Center Station is 6 minutes by foot and Sundby Station is 15 minutes. 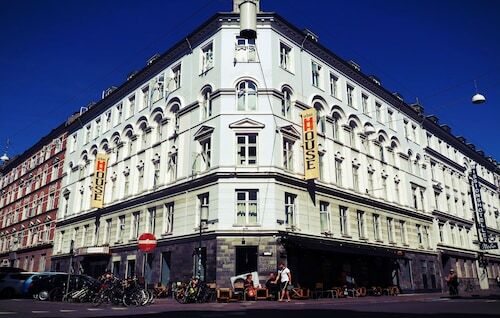 This family-friendly Copenhagen hotel is located near the boardwalk, within 1 mi (2 km) of Ny Carlsberg Glyptotek, Tivoli Gardens and National Museum of Denmark. City Hall Square and Stroeget are also within 1 mile (2 km). Copenhagen Dybbolsbro Station is 8 minutes by foot and Copenhagen Vesterport Station is 19 minutes. 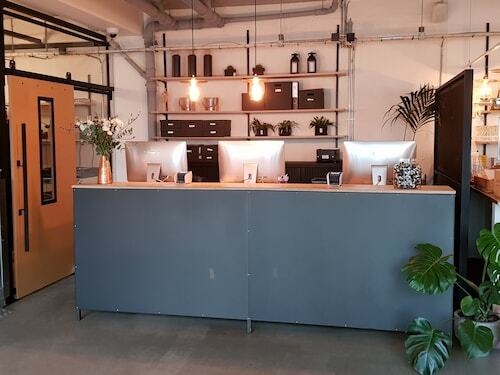 Located in Copenhagen City Centre, this hostel is within a 10-minute walk of Oksnehallen, Tivoli Gardens and City Hall Square. Stroeget and National Museum of Denmark are also within 15 minutes. Copenhagen Central Station is only a 4-minute walk and Copenhagen Vesterport Station is 5 minutes. 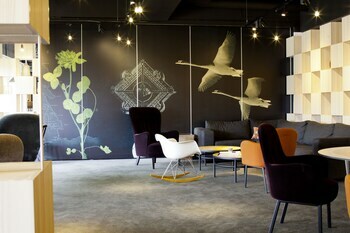 Located in Copenhagen City Centre, this eco-friendly hotel is within a 10-minute walk of Workers Museum, Botanical Garden, and University of Copenhagen. Round Tower and Stroeget are also within 15 minutes. Copenhagen Norreport Station and Nørreport Station are within a 5-minute walk.